Most people who use Excel spreadsheets are comfortable entering data, using basic formulas and applying minor formatting. That’s all well and good, but you may be using 20 percent or less of Excel’s full capacity. There are some handy little tricks – things that Excel can do that you may have never even heard of. And if you have never taken Microsoft Excel courses, these are just some of the tips you can expect to learn. Hide data before printing. What if you want to print a spreadsheet that contains some confidential information, like clients’ credit card numbers? Microsoft Excel training classes teach you how to hide this information before printing, and simply unhide it when you’re done. Make calculations without formulas. Most people who have taken a Microsoft Excel tutorial will tell you it’s all about the formulas – you have to learn them and then apply them. But Microsoft Excel training courses will also teach you how to perform several mathematical calculations without having to use a single formula. Add a drop-down menu. This is a great timesaver for people who have to enter vast amounts of information. Suppose you want a user to enter a month in your spreadsheet. There is a way for you to add a drop-down list of all 12 months so that all your user has to do is select one. Spot duplications. Sometimes a duplicate entry can be a costly mistake. Microsoft Excel 2010 tutorials can teach you a nifty little way in which you can check to see if there are duplicate entries within a given range. Hide your formulas. Formulas contained within a cell are easy to see – click on the cell, and it’s visible. You may want to hide these formulas to give your spreadsheet a more polished look, or hide the way you’ve made your calculations. And this is just the tip of the iceberg. You will learn these tricks and more when you sign up for TutorPro’s Microsoft Excel 2010 training. This is just one part of TutorPro’s complete Microsoft Office 2010 course. 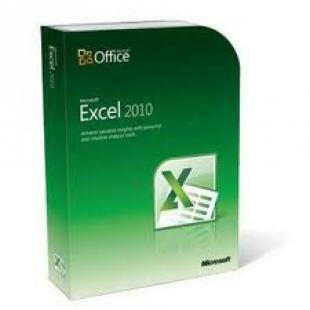 This Microsoft Excel 2010 tutorial consists of 22 Excel training modules; each of these course modules includes targeted audio and exercises, designed to help you achieve your Excel online training goals. TutorPro offers simulated content that gives learners a realistic environment in which to learn. Sign up for TutorPro’s advanced Microsoft Excel training and create spreadsheets like you’ve never done before.